Keith Little, a hospital worker in Montgomery, Maryland, wanted a raise. Instead, he got a bad performance review from his boss Roosevelt Brockington Jr. In a rage, Little went into Roosevelt’s office wearing a ski mask and gloves to give the impression of a robbery gone wrong, and then murdered him. Sadly, such occurrences are by no means isolated. This fact and my natural aversion toward violence have turned our blog for this week in this pretty serious direction. News channels have essentially run out of words to describe violent acts. Senseless, insane, tragic, inhumane, and incomprehensible are some of the common expressions, but perhaps the phrase that best describes such acts is “not-going-away” because they clearly aren’t. If anything, they are on the rise. And since an average adult spends about 90,000 hours of their lifetime at work – the powerhouse of much of the stress that could frustrate, anger, or even tip a person over the edge – the issue of workplace violence is expectedly commonplace. I read a report from the US Occupational Safety and Health Administration that put the value at 2 million incidents of work-related violence per year within the United States alone. But it further clarified that many other cases go unreported, meaning this value doesn’t really reflect the scope of the problem. Considering the stats, the financial consequences, and the duty of companies to keep employees safe, I was pretty sure most companies would have taken steps to curb violence. It was thus a jaw-dropping experience to find out from a report by the Bureau of Labor Statistics that a whopping 70% of US companies have no policy in place to curb workplace violence. Obviously, many more companies need to take steps to address this issue. But since violence can hardly be predicted and completely prevented, what can you do to make your company a safer place? Always conduct a thorough background check on candidates before they are recruited. While I believe people can, and do change, if a candidate has a history of violence (not just one hot head moment but an actual history), it may be best to hire someone else. Every form of violence, verbal or physical, should not be tolerated in your company. It is necessary to create a formal, written policy to this effect, and then ensure everyone gets and reads a copy. Others who come in regular contact with your employees (customers, clients, contractors, etc) should also be informed as to the kind of actions and interactions your company considers unacceptable. 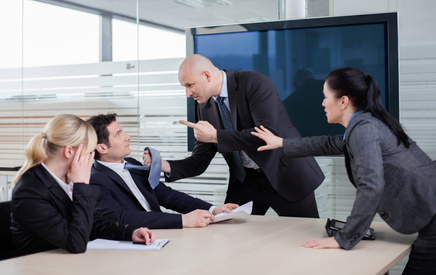 Employees should know exactly what to do if they have been victims of any form of violence within the company. And when incident reports are made, immediate action should be taken to prevent further harassment from the offender. Employees should also know what to do if they are abused or threatened by customers or clients. For example, if a customer makes a threat of physical harm to one of your employees, this may be considered criminal threat and the company may decide to get the police to question and restrain the offender. Employees should know that they can report such threats. If there is one thing we have learned from previous acts of violence, it is that there is almost always some indication of the perpetrator’s violent tendency before the act, and very often the question asked is, why didn’t anybody take note of that? When such behaviors are identified early on, the person can be given needed help long before they escalate to violent behavior. Many violent acts at work occur around some major event, such as getting transferred to another region, getting a bad performance review, or getting fired. While it would be unnecessary to go to DEFCON 1 each time an employee is fired, if the employee has a record of violence, some caution may be required. If on the other hand the employee overtly shows his disappointment with the termination and threatens to retaliate somehow, get the police involved. 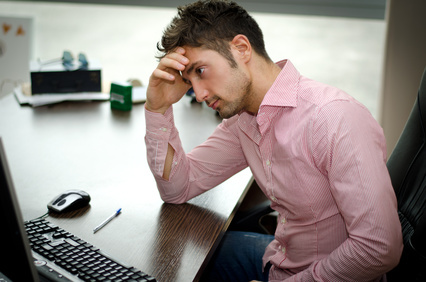 Stress at work can be caused by a number of factors, such as heavy workload, long hours, over-supervision, tight deadlines, and even boring work. To prevent violence then, you need to examine the trends in your company. Are there frequent reports of chronic stress? If yes, what changes in organizational structure and policies need to be made to correct this? Can you go the extra length and establish stress reduction facilities, such as gyms in your company? In my quest for reliable information on this topic, I came across a good number of stats, most of them showing how prevalent work related violence is. Quite surprisingly, although violence is generally on the increase, one stat revealed that work related violence, though common, is not increasing. It rather seems to have declined in recent years. Clearly, some business people have taken steps to get their companies out of the negative statistics.